The video gives glimpses of the making of Bumro song which is a visual treat with the adorable innocence and playful equation between Zaheer Iqbal and the kids. Depicting the hard work behind the dance routines the BTS showcases choreographer Mudassar Khan also indulging in fun moments with the cast. Putting forth their individual takes on the song, the making video reveals 'Bumro' to be Salman Khan's ideation. @BeingSalmanKhan @pranutanbahl@iamzahero @nitinrkakkar @Cine1Studios @muradkhetani @ashwinvarde @VishalMMishra @imKamaalKhan @mudassarkhan1 @TSeries @ItsBhushanKumar"
Giving an insight into the fun-filled moments on the sets of Notebook, the makers released a BTS video series, as the last video showcases the refreshing chemistry and warm bond between the debutant actors. The playful and charming Zaheer Iqbal is seen pulling Pranutan's leg all the time, creating a fun environment on the set. The glimpses of the trailer which showcases Kabir talking about his love for Firdaus has already taken the internet by storm with its unconventional love story dated back to 2007. 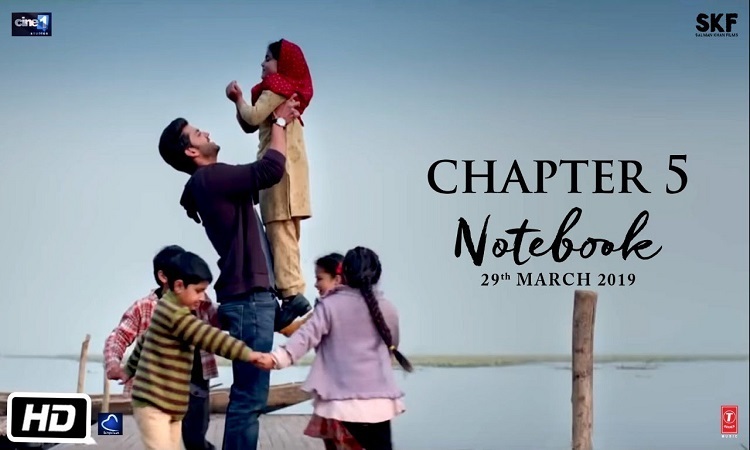 'Notebook' has been shot in the exquisite valleys of Kashmir bringing the authentic love story of two lovers Firdaus and Kabir, along with a strong support cast with the child artists, who play a vital role on the story.